3dr 1913 "1912 Campaign" in paper "B" in left marginal copy with printer;s inscription (partially). 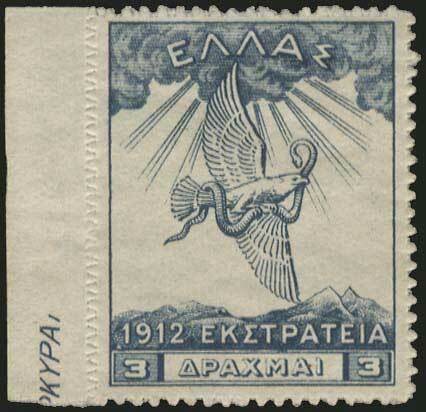 EXTREMELLY RARE STAMP IN FANTASTIC QUALITY. ONE OF THE VERY FEW U/M EXISTING COPIES. (Hellas 352h-7040E).